If you are really researching on best quality and durable fans, then you have come across this manufacturer numerous times. Vornado has been in the industry for decades specializing in fans and related equipment. Experience means everything in this industry; you can be sure of the quality and reliability of the products. In addition to experience, Vornado’s reputation is incomparable. 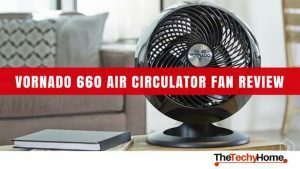 You can’t afford to miss a check on its multiple models that range from standing fans to wall mounting and oscillating fans. 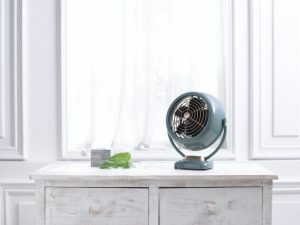 The most unique product that popularizes the manufacturer is Vornado vintage fan. If you are concerned about price then you do not know what and how to look for in this industry. Take time and research from the basics of quality and costs of fans. 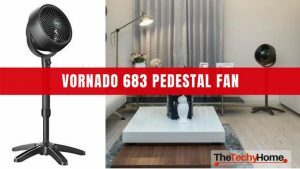 While Vornado is renowned for its affordable prices, the manufacturer does not compromise when it comes to class and vintage. The price is relatively higher; the manufacturer has managed to maintain it at $149 for several years. This only proves of the quality that the market is appreciating. When a product is beyond standard quality, price becomes a non-issue for the customers; these are levels that only Vornado has elevated to because of its extensive experience in the market. Vintage is inspirations originate from the 19th century when everything was made of steel. While it became old fashioned at some point when aluminum and steel were discovered, steel remains gold for this manufacturer. 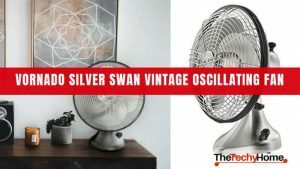 if you know the value and quality of the material then you will not think twice when it comes to purchasing Vornado vintage fan. The steel exterior gives it a vintage look, which is attractive to anyone, especially people born in the 50s and 60s. Generation Y may not find the fan attractive; however, its design is classic. 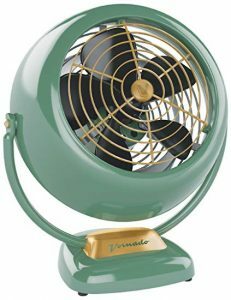 Vornado has enhanced the old vintage look with glossy material that brightens the green color. It is not a dull product as you may imagine. In fact, it can inspire interior décor designs. 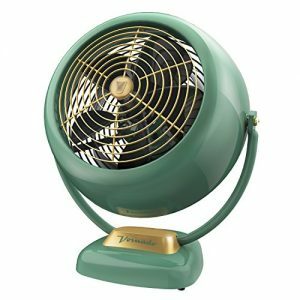 Vornado vintage fan is mounted on a strong steel base, which ensures it is stable in varied surfaces. The connection between the head and base is coated with aluminum and strong metal that acts as a pivot. The head can face don or up the ceiling. Where the metal framework connects the head and base are screws, which make dismantling and assembly easy and fast. When moving to a new house, it might be safe to disassemble every part of Vornado fan vintage before transporting. The steel and metal are strong and sturdy, no doubt. In fact, if you mishandle the head and it falls on your toe, you might shed a tear; the steel framework is tough hence unfriendly to the nerves. I know the first thing that comes to your mind is a handle. Well, you can list this in your cons but I don’t think is anything to determine your decision. The quality and effectiveness of airflow cannot be watered down by a missing handle; the manufacturer mist be aware of this, which explains the new models and others in the making. The handle that would have sealed effectiveness and efficiency of the fan is compensated with pivoted head. Vornado vintage fan pivoted component enhances flexibility of the fan in the sense that you can choose a preferred orientation. Either turn the head to face the ceiling or downwards according to your airflow needs. While Vornado vintage fan can be used in varied settings, it is suitable for relatively large rooms. 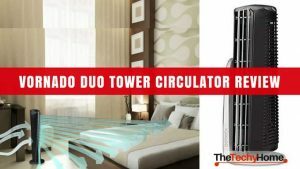 Using the fan in a small bedroom or office is under utilizing the equipment. Using it in a classroom and patient wait room is the best decision where all the components can be fully explored. The oscillation component is subtle; you may miss the negligible turns and movements on the fan’s head. Effectiveness of the fan is not in question. It runs consistently for hours before you hear any form of noise or need for a pause. 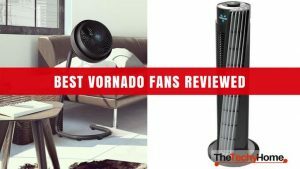 You cannot compare this fan from other Vornado models. Oscillations and blade rotations increase airflow around the room hence gentle breeze and freshness of air. Vornado vfan sr are among the numerous elements that attribute to popularity of this fan. 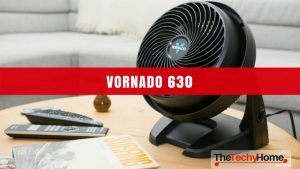 Vornado retro fan and vornado style fan explains the hype, which comes with Vornado fan sr. Probably you don’t expect anything encouraging here. Yes, steel is heavy but the material used in manufacture of this fan was considerate enough to portability needs hence use of refined steel and metal that is easy to lift. 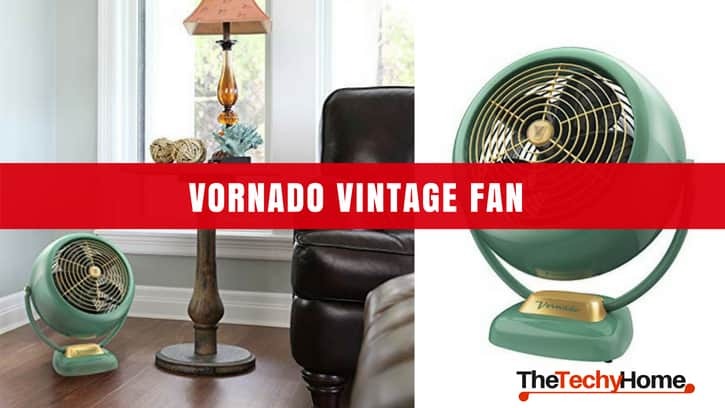 If you have tried to lift a Vornado vintage fan then you know it is all misconception. Portability challenge because of distance is not genuine; most people who post such comments online are either doing it as a competitor business strategy in replacing the established brand name. Besides, the power cable length increases flexibility and portability of the fan. You don’t have to keep it close to a power source. 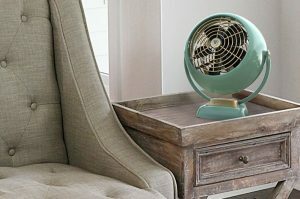 Vornado fan vintage is a vintage style fan that attracts most of the elderly and young people who admires vintage design. Check this fan’s page on Amazon here as they may have put a discount on it.